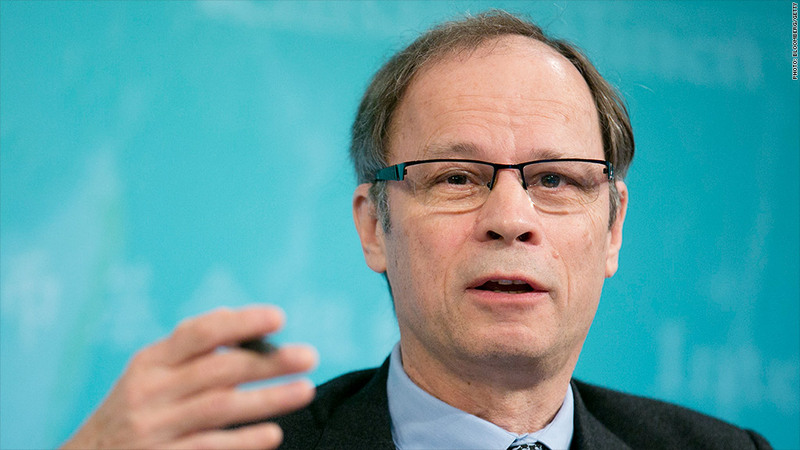 French economist Jean Tirole has won the 2014 Nobel prize for economics for his work on how to regulate powerful companies. 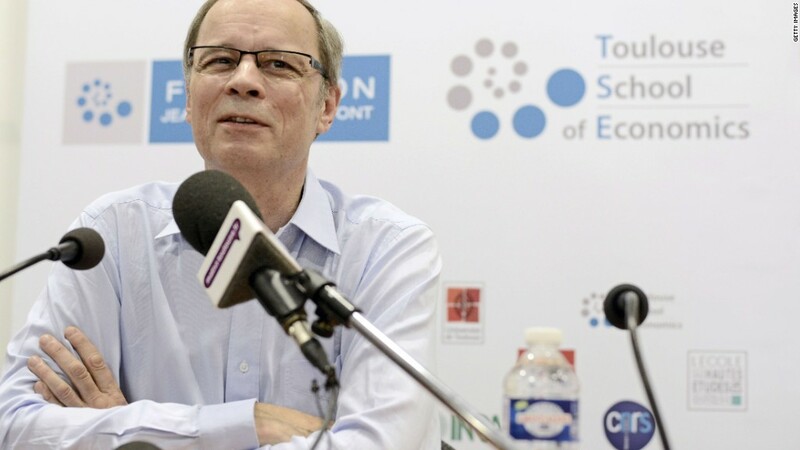 Tirole, a former MIT student, is head of economics at Toulouse University, France. The award, announced Monday, is the first time since 1999 that an American-born economist didn't win or share the Nobel. Tirole has spent the last 30 years studying how a small number of large firms can dominate markets and the damage that can do -- and how governments should respond. He argues that the best regulation is adapted to the conditions of each industry, such as telecoms and banking, rather than trying a one-size-fits-all approach. Traditional solutions, such as capping prices or banning cooperation altogether, could do more harm than good. "Cooperation on price setting within a market is usually harmful, but cooperation regarding patent pools can benefit everyone," the Nobel committee said. "The merger of a firm and its supplier may encourage innovation, but may also distort competition." Thomson Reuters named Tirole one of the world's most influential academics this year in a survey of the frequency of citations by peers. Tirole co-authored "Balancing the Banks: Global Lessons from the Financial Crisis" in 2010 with Mathias Dewatripont and Jean-Charles Rochet. They proposed changes to the way banks are regulated, and urged closer international coordination in dealing with banks that get into trouble. The Sveriges Riksbank Prize in Economic Sciences in Memory of Alfred Nobel, worth about $1.1 million, is awarded by Sweden's central bank. Last year, Robert Shiller -- the Yale professor famous for predicting the housing and Internet stock bubbles -- won the prize along with two University of Chicago professors for their work on the pricing of financial assets. They concluded that while predicting the price of stocks and bonds is virtually impossible in the short term, it is possible to predict the broad course of prices over longer time spans. The only woman to win the award was Elinor Ostrom of Indiana University. She shared the prize in 2009 for her work showing communities could manage shared local resources such as land and water without heavy centralized regulation or privatization.